Call Randy Green 772-398-2514 if you would like additional information on how Randy Green can help you achieve your real estate goals when BUYING or SELLING Treasure Coast Real Estate. Selling Treasure Coast Real Estate Full-Time For Over 15 Years!! 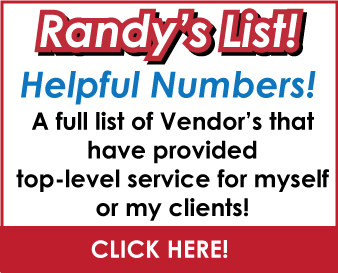 Also, visit RANDY’S LIST on my RE/MAX website for a List of reliable vendors for just about any service you will need on the Treasure Coast. I receive no fee for recommending these vendors. They are simply reliable professionals who assist me and my customers when needed.